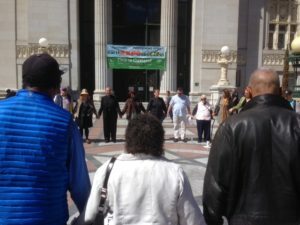 Having prayed outside City Hall for the “soul of the city and an end to the housing crisis,” about 60 low- income Oakland residents, housing advocates and clergy filed into the packed March 22 meeting of the city council’s community and economic development (CED) committee. Their chief concerns were the committee’s latest roll-out of the proposed housing impact fee ordinance which included new plans to apply the impact fee across three zones instead of citywide, and to expand it to include moderate- income residents. Affordable Housing Trust Fund (AHTF). Following the CED’s 3-0 vote in favor three hours later, and their prayers unanswered, they left disappointed, if not angered. Speakers pray before city council committee meeting. Some background. Last September, the city council’s unanimous adoption of the Housing Equity Road Map (see below) laid out the ways to create funds for much needed housing for Oakland’s poorest residents. Since then, advocates and residents have seen a slow whittling away of the tools which would generate such money. The CED council members counter that one such tool, impact fees, must be put in place cautiously so as not to scare off developers and that the needs of moderate- income residents, like teachers, should also be considered. Impact fees, a key strategy in the Road Map, have become a common way for California cities to generate affordable funds with the loss of state redevelopment money and cutbacks at the federal level. Essentially, after conducting studies to establish the need for affordable housing and its economic feasibility, cities can levy a fee on market rate housing developments. Fees, either by unit or per square feet, are then collected and administered through an affordable housing fund. Over two dozen speakers lined up to support a single impact fee and against expanding the reach of the funds to moderate income earners. Until this meeting of the CED, the proposed affordable housing fund targeted Oakland residents with extremely low, very low and low incomes — from 30 percent to 80 percent of the Oakland’s Average Median Income (AMI) – $27,850 to $71,600 for a family of four. This latest plan before the CED — the last stop before the full council considers approval at the upcoming April 19 meeting — proposed to expand the definition of affordable to include residents with incomes from 80 percent to 120 percent of AMI ($71,600 to $111,500 for a family of four). East Oakland resident Teddy K. Miller, and senior associate at Policy Link who helped write the Road Map, reminded the committee that this document “specifically called for impact fees to be targeted to low- income and very low- income households. These households are most vulnerable to displacement and are disproportionately black, brown, red and yellow.” He said the proposal represented a compromise with developers at the expense of Oakland’s poorest residents. 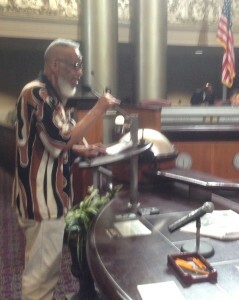 West Oakland resident Guitar Whitfield, himself homeless for a time, lamented the loss of 25 percent of black Oaklanders and urged the CED to “keep affordable housing funds focused on lower income folks. Campbell Washington, a former school board member, also pointed out that by expanding the criteria to 120 percent of AMI, a family of four with two teachers might not be forced to leave Oakland. At Large council member Rebecca Kaplan questioned the advisability of expanding the definition of affordability in the proposal. She suggested taking up the issue separately along with consideration of placing limits on the various qualifying income levels. Though disappointed with the policy shift, activists promised to continue the conversation. Zone 3 (the rest of E. Oakland to the San Leandro border), 0 fees through 6/30/18 to $12,000 by 7/20/20. Each zone also includes varying fees for capital improvement (Parks, Fire, Libraries, etc.) and Transportation which, when included, make the final, phased-in fees of $24,000, $19,250, and $13,000 across Zones 1, 2 and 3 respectively. The resulting fees will be deposited in the City’s Affordable Housing Trust Fund (AHTF) to finance affordable housing projects. 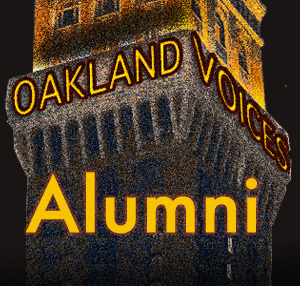 Bill Joyce is a retired Berkeley teacher and 2016 alumnus of Oakland Voices. I hope that these Impact Fees are put in place, and that the funds generated go to the affordable housing crisis in Oakland. Great piece Bill!! Bill Joyce’s excellent article regarding our local housing crisis is clear, concise and replete with spirit, which aids all of us in dealing with this very difficult societal issue.